Digestion enzymes are enzymes that break down polymeric macromolecules into their smaller building blocks. Digestive enzymes are excellent aids to the digestive and absorptive processes. A number of digestive enzyme supplements are available. Digestion enzymes are classified by their substrates: proteases and peptidases split proteins into amino acids, lipases split fat into three fatty acids and glycerol, carbohydrates split carbohydrates such as starch into sugars, and nucleases split nucleic acids into nucleotides. Digestive enzymes are primarily responsible for the chemical breakdown of food and constitute a large portion of digestive secretions. The digestive enzymes can be classified according to their location in the digestive system. The salivary glands in the oral cavity secrete two important enzymes called ptyalin and lysozyme; however, lysozyme is not a digestive enzyme. Ptyalin, which is a digestive enzyme, is a type of µ-amylase. This digestive enzyme helps to break down the starch into smaller segments of soluble sugars, which can then be utilized by the body. The digestive enzymes that are secreted in the stomach are generally referred to as ‘gastric enzymes’. There are four gastric enzymes, which include pepsin, gelatinase, gastric amylase and gastric lipase. Pancreas is a gland organ that secretes many digestive enzymes and is a part of the digestive system of vertebrates. 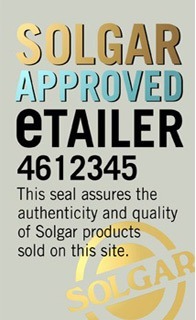 Solgar supplies several different digestion enzymes supplement products such as Solgar Betaine Hydrochloride 100 Tablets, Solgar Bromelain 500 Mg 30 Tablets and Solgar Pancreatin Quadruple Strength 50 Tablets.